Another week, another cave system – albeit a day later this week because I was busy yesterday with prepping for my Seven Hills scenario. This week we have another cave system. Simple to draw and, invariably useful. I’m starting to run out of ideas for my weekly map plan but as I’ve put together 11 so far this year I’m not surprised. 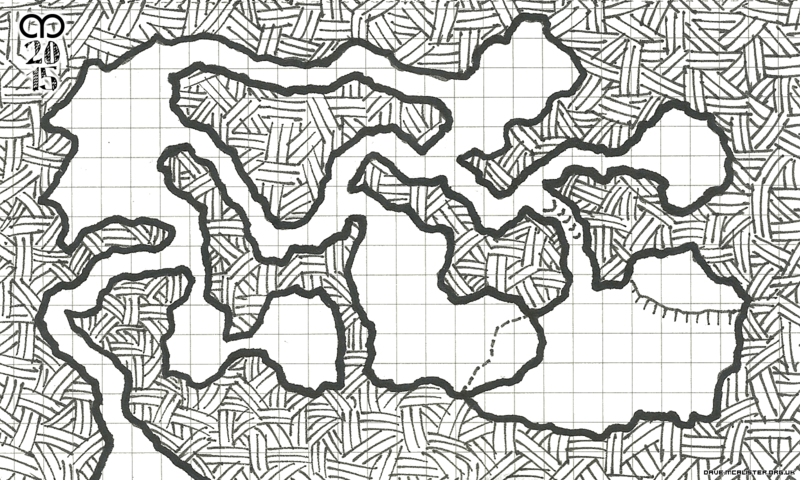 I think I need to take some more inspiration from Dyson’s Dodecahedron and work on adding more detail to my maps. Maybe when I finish my moleskin book and get started on the larger, A5, book from squarehex.